Holy Quran is the most sacred book of Allah Almighty revealed on our beloved Prophet Muhammad (SAW). Quran is the book of guidance not just for Muslims but for all mankind. Holy Quran is the foundation of Islamic theology and a source of inspiration for everything for Muslims all around the world. 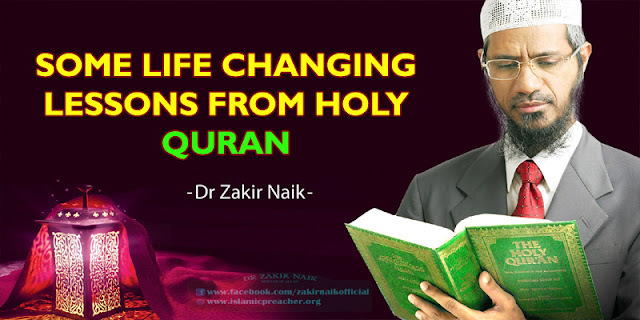 This holy book of Allah Almighty has wisdom that can change a life of an individual for betterment because it has life-changing lessons through which Muslims can learn and implement in their life. Quran is the book from which you can teach all kinds of lessons from good manners, how to treat others, to healthy eating and all that can benefit others. Let’s discuss some life-changing lessons from this Holy Book of Allah (SWT). 7) One should speak best when talking to someone or should choose best words when speaking. “And tell My servants to say that which is best. Indeed, Satan induces [dissension] among them. Indeed Satan is ever, to mankind, a clear enemy” (Quran, 17:53). This ayah of holy Quran also tells us that we should be responsible while speaking to others by choosing best words.